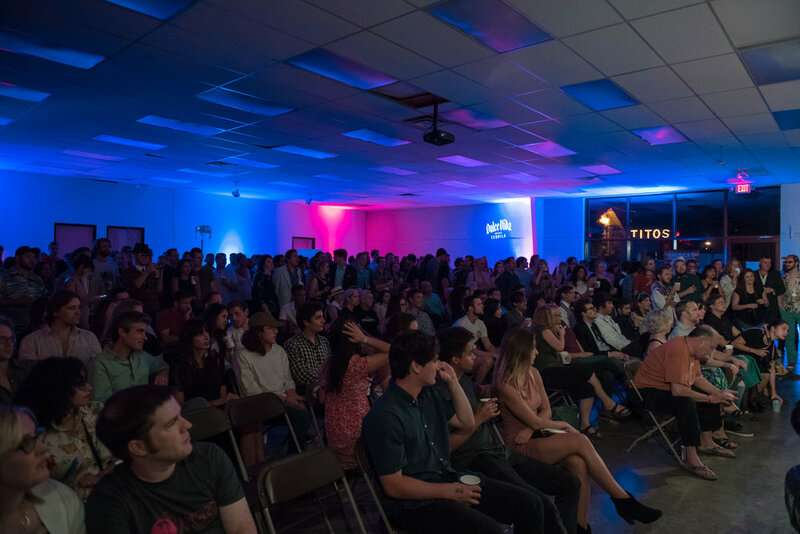 Our space is centrally located in East Austin providing the community with a budget friendly alternative for events, exhibitIons, festivals, productions and more! If your event is within the art, film and tech community - this could be your new event space! Our space rentals include: access to parking lot, high speed WiFi, additional creative digital tools such as screen(s), HD projector(s), lights, stage, PA, and microphones, lounge furniture + seating, modern furniture + accents, full ADA accessible & compliant facility, loading dock entrance for large load-ins, kitchen, and so much more! 14,000 square feet of multi-use arts space. As a non-profit arts organization, our goal is to help educate, train and provide resources for established and emerging artists throughout the full spectrum of the arts, dedicating over 14,000 feet of a creatively curated space.